In September 2013, the Science Council of Japan (SCJ) published a report on the ILC. This report contains two key statements and requests. In response, the Ministry of Education, Sports, Science and Technology (MEXT) set up a “Task force for ILC” under the vice-Minister, which itself set up an “Academic Experts Committee” which first met in May 2014. At that meeting the committee formed two working groups in order to respond to the two key requests of the SCJ. 24 June 2014: Status of Particle Physics and ILC physics overview. 27 August 2014: Cosmic ray and Astrophysics and ILC. 21 October 2014: Interim summary to be reported to Experts Committee. In order to address technical issues, a “Technical Design Report Validation” Working Group has been formed under the leadership of Hideaki Yokomizo (Former Trustee of JAEA). The first open meeting of this working group was held on 30 June 2014, giving an overview. Further working group meetings are in progress for detailed discussions on the TDR contents with cost-estimates in closed sessions. Information is being fed to this working group through the ILC Planning Office at KEK after verification by the LCC. Note that at the present time, this is a purely internal Japanese process. All committee and working group members are Japanese and no input is requested from outside Japan except indirectly through the LCC so far. This survey will be conducted by a private company, yet to be chosen, and should be completed by the end of March 2015. It is expected that this company will consult with the major laboratories world-wide. I hope that the upcoming LCWS14 workshop in Belgrade will help refine the scientific arguments and differentiate the International Linear Collider from the other proposed lepton colliders and help our Japanese colleagues to feed correct and compelling arguments to the working groups. An international team of scientists at Japan’s high-energy accelerator research facility KEK has successfully demonstrated a key component of a future high-power linear collider, such as the International Linear Collider (ILC) under consideration in Japan or the Compact Linear Accelerator (CLIC) being developed at the European facility CERN. The component, called the final focus optics, will help produce precise beams of particles at these future research facilities, said Glen White, the SLAC accelerator physicist who is lead author on a recent paper in Physical Review Letters. Optics for an accelerator that boosts charged particles to near light speed aren’t lenses in the typical sense of eyeglass lenses or magnifying lenses. Instead, “optics” refers to the magnets that steer the particles. 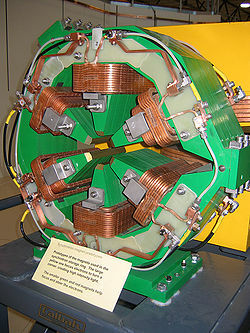 The final focus optics for an accelerator are a sequence of powerful magnets that concentrate particles into tight beams. The optics demonstrated by the Accelerator Test Facility 2 (ATF2) focused an electron beam down to only a few tens of nanometers tall. This special sequence of magnets was developed by former SLAC accelerator physicists Andrei Seryi and Pantaleo Raimondi nearly 15 years ago. Many more SLAC physicists are members of the ATF2 collaboration, an international group of scientists that built and continue to test the structure at the KEK accelerator facility in Japan. 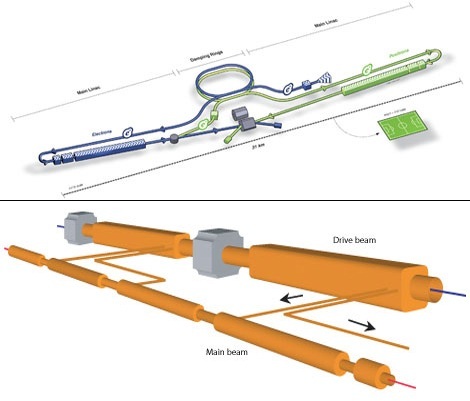 The optics for a future linear collider must take many different issues into account, said White, including the physics and the economics of extremely energetic beams of tiny particles. 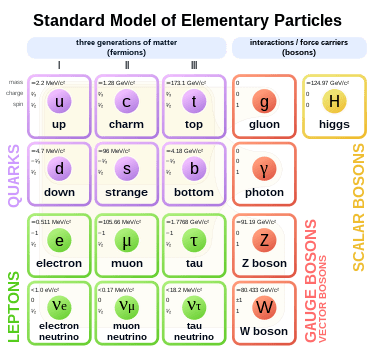 For example, a magnet will focus charged particles that have slightly different energies to slightly different places.”No bunch of particles in an accelerator is perfectly uniform,” said White. Thus, the particles can “fuzz out” around the focal point, resulting in fewer collisions and less data, unless such differences in position, called chromatic aberrations, are accounted for. Previous methods for correcting chromatic aberration, such as those tested during the Final Focus Test Beam experiment at SLAC, required additional lengthy sections of tunnel for the magnets used, thus adding considerable cost, White said. 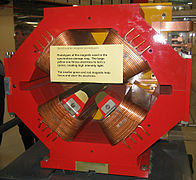 The design the ATF2 collaboration tested involved adding magnets called sextupoles to the focusing magnets, called quadrupoles, already in use. “The sextupoles refocus the particles according to their positions, which are determined by their energies,” he said – essentially reversing the errors introduced by the quadrupoles. Now that they know it works, said White, the next steps are to work on stabilizing the beam and train more young physicists for the real thing. “The Compact Linear Collider and International Linear Collider will accelerate particles and create collisions in different ways. Nonetheless, the detector concepts under development share many commonalities. Both CLIC and ILC scientists foresee general-purpose detectors that make measurements with exquisite precision. These colliders, however, have very different operating parameters, which will have important consequences for the various detector components. The ILC’s collision energy is set at 500 GeV (with option to upgrade to 1 TeV), while CLIC will collide at up to 3 TeV. And the bunch structure is very different, too. The main difference is in the timing of the collisions. At the ILC electrons and positrons collide in bunch crossings spread out over bunch trains of almost a millisecond. At CLIC these bunch trains last for only 156 nanoseconds. So CLIC detectors will have a tougher job disentangling the rare physics events from the collision background. The detector component closest to the interaction point, where collisions occur, is the vertex detector. ILC concepts place a paper-thin pixel detector near the interaction point to improve the resolution of short-lived particles created in collisions.